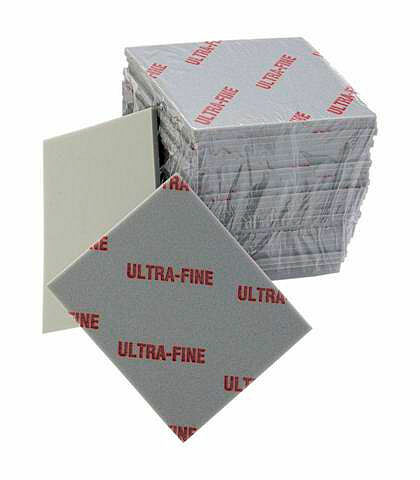 Ultra Fine Sanding Sponges-4-1/2 in. x 5-1/2 in. Maximum flexibility to reach hard-to-reach areas. Will conform to all shapes. Excellent for headlight openings, door handles, door jambs, etc. Helps to eliminate finger marks.